Tomkat Roofing – Sydney’s trusted roofing specialist. With over 20 years’ extensive experience in the roofing industry, Tomkat Roofing are your preferred contractor when it comes to roofing, guttering and downpipe issues. We believe in a client-first approach, delivering the highest quality, client oriented service and along with free quotes we provide before and after photos for peace of mind and continuity of care. 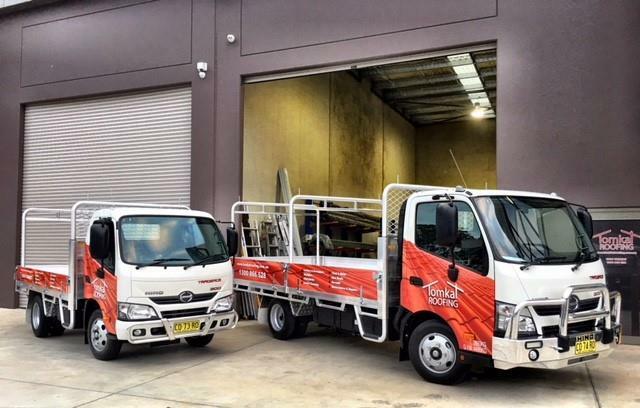 Working alongside some of the largest insurance repair builders and strata companies in Australia, our attention to detail is precise, our operating systems all technology driven and our tradesmen hold the highest skill levels in both metal and tile roofing. As well as holding all necessary insurances and licences, our team have undergone criminal record checks, are certified for working safely at heights, and asbestos awareness. Our senior team members are also certified for elevated work platform, making Tomkat Roofing qualified to meet any and all of your roofing needs. For your next roofing project, choose Tomkat Roofing.